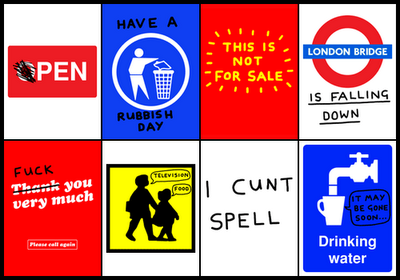 Ian Stevenson has 8 new screenprints titled Everyday Signs. They are each limited edition of 50 and available from Pictures On Walls. He has also updated his website I Like Drawing with a QuickTime video of the E4 music work he recently did.